As the cool spring sunshine gives way to a warmer summer blaze, the really good tomatoes are returning to us. The gritty, hard tomatoes in the winter are hardly satisfying, but those sweet juicy summertime tomatoes are just delicious! 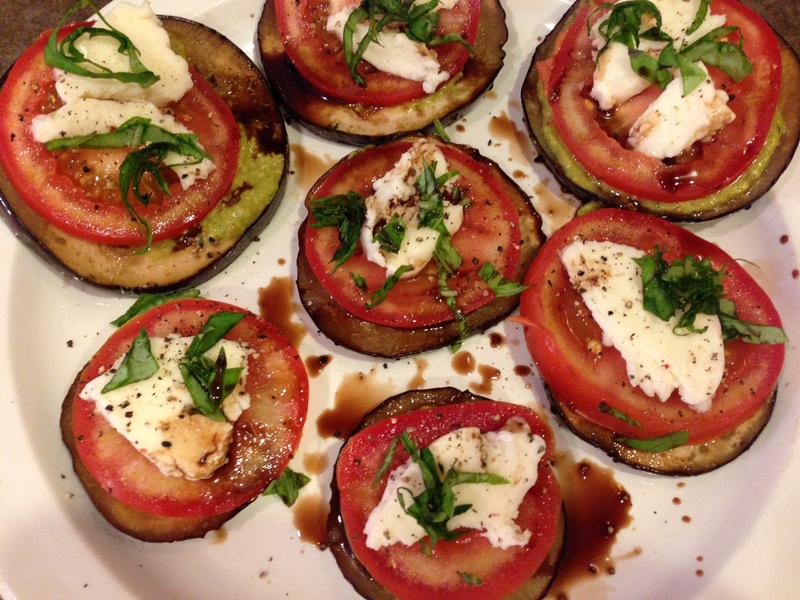 This is one of my favorite summer recipes, bringing the delicious open-faced caprese sandwich to a veggie-loving palate, offering a grilled eggplant disk in lieu of a crusty bread. 1. Combine all the pesto ingredients and puree in a blender until smooth. 2. Heat olive oil on grill (or in a flat bottom pan on the stove top. 3. 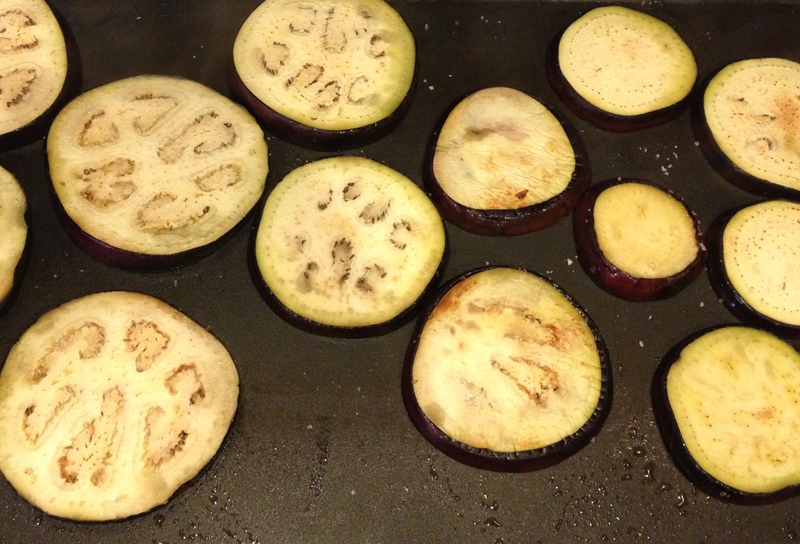 Fry eggplant on both sides in the olive oil. Season with salt. 4. 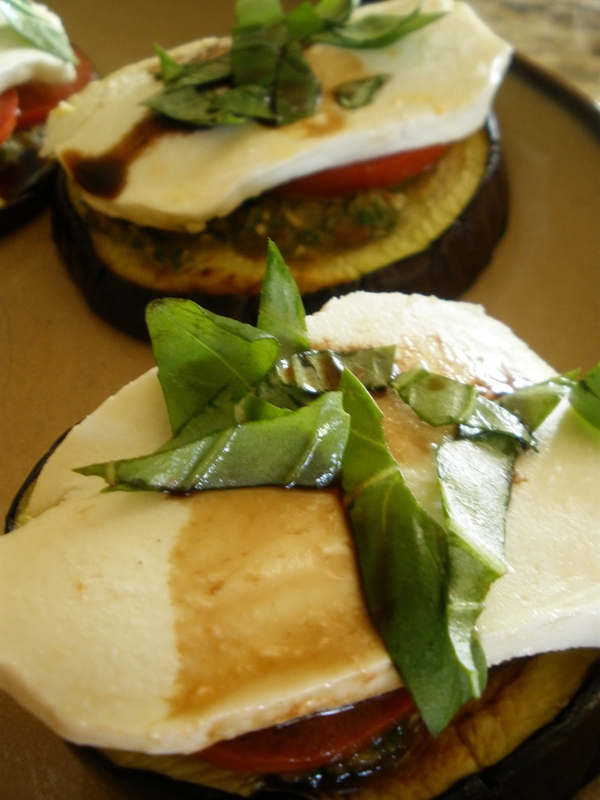 Spread pesto on the eggplant, then top with tomatoes, mozzarella, and fresh basil. 5. Top eggplant stacks with freshly ground pepper and drizzle with balsamic vinegar. This entry was posted in Appetizers, Dinner, Side Dish and tagged appetizer, cheese, dinner, gluten-free, vegetable, vegetarian, veggie. Bookmark the permalink.